Apparently Friday was National Pretzel Day. Coincidentally, I was already planning on making homemade soft pretzels on Saturday for a small party we were hosting at our apartment. I love when stuff like that happens! I kind of think that we need to have a monthly National Pretzel Day (or at least National Pretzel Month) because these were SO good. 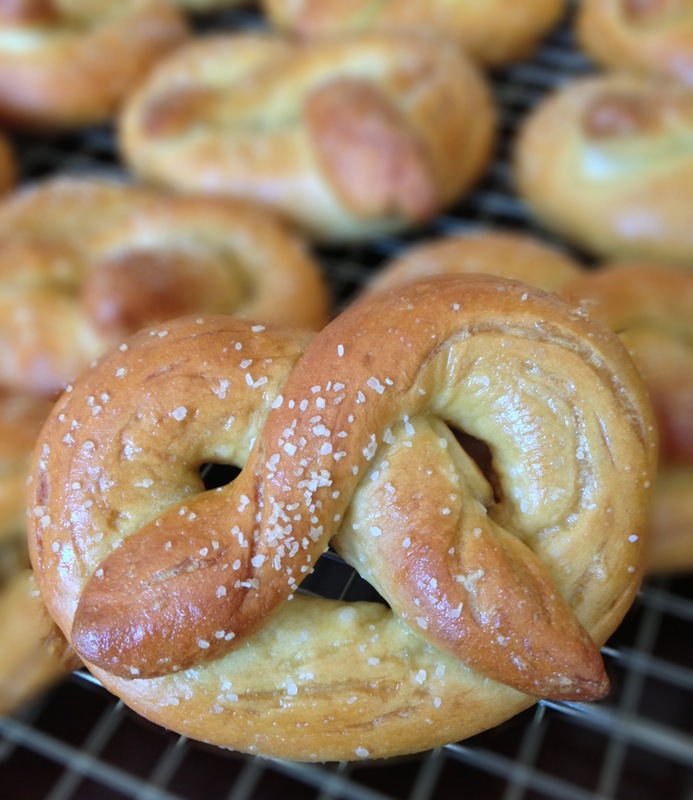 I can’t believe it took me so long to make soft pretzels. Especially since TheBetterHalf is from Philadelphia, which is, as he likes to remind me, the home of the original soft pretzel.